The NCAA college basketball tournament, aka March Madness, has traditionally been my marker of Spring. Starting this week, the "Road to the Final Four" prompts an intensive focus on bracketology, a field of study even the book world can't escape (see Tournament of Books). Human interest studies are also a popular subject. This year the center of attention has been actress Julia Louis-Dreyfus (just Google her name and "basketball"). Her son Charlie plays for Northwestern, which has made the NCAA tournament for the first time in school history. 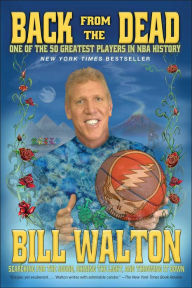 My March Madness TBR list includes Bill Walton's Back from the Dead (out in paperback next week). Now a broadcaster, Walton brought a refreshing burst of Deadhead/hippie fresh air to the sports scene in the 1970s as a UCLA and later NBA Hall of Fame-level player. At 64, he's still a tie-dye loyalist. Grateful Dead drummer Mickey Hart even blurbed the book: "This isn't a basketball story, it's a story of victory over adversity and the Tao of positive thinking." 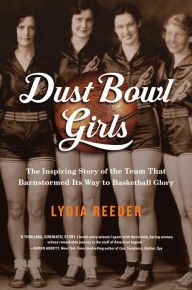 For a different perspective on the game, check out Dust Bowl Girls: The Inspiring Story of the Team that Barnstormed its Way to Basketball Glory by Lydia Reeder, as well as the insightful Integrated: The Lincoln Institute, Basketball & a Vanished Tradition by James W. Miller. College basketball majors might enroll in an Atlantic Coast Conference studies course, built around Dean Smith: A Basketball Life by Jeff Davis; Game Changers: Dean Smith, Charlie Scott & the Era that Transformed a Southern College Town; and John Feinstein's The Legends Club: Dean Smith, Mike Krzyzewski, Jim Valvano & an Epic College Basketball Rivalry. "This tattoo test will determine what book you should read next," Buzzfeed promised. "Emma Watson's 'book fairies' are hiding novels around London," Time Out reported. The Handmaid's Tale author Margaret Atwood shared Adweek's Facebook post from Austin's South by Southwest festival; "Hulu is doing a great job creeping everyone out at #sxsw with all these handmaids walking around in complete silence." Le Chat Chapeauté. Mental Floss wondered: "How are Dr. Seuss's books translated?" From "alibi" to "mauve," the Guardian explored "what famous writers' most used words say about them." Buzzfeed shared "11 beautiful and actually doable ways to display your books." Gloria Jean Watkins, known by her pen name bell hooks (all lowercase), is a feminist, social activist and author of more than 30 books. Her work explores issues of race, gender and class, and how these social structures intersect to create and perpetuate forms of oppression. She has taught at many colleges and universities across the United States, and is currently a professor at Berea College in Berea, Kentucky, the same state where she was born in 1952. 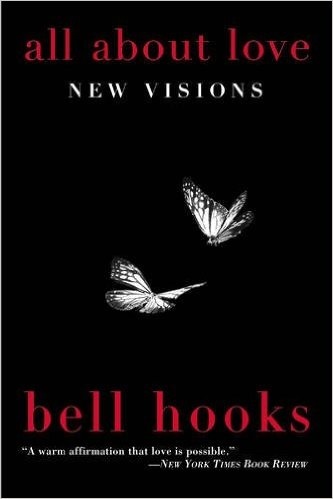 The name bell hooks is an homage to Watkins's maternal great-grandmother, Bell Blair Hooks. Her first major book, Ain't I a Woman? (1981), a reference to Sojourner Truth's famous speech, analyzed issues faced by black women that were often ignored by the larger feminist movement and showed how black women became an underclass American society. Ain't I a Woman? is often used in gender studies and philosophy courses. 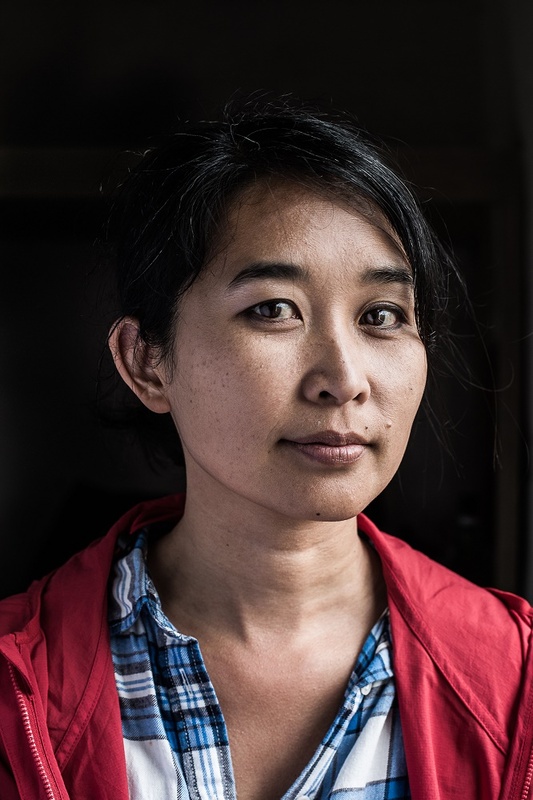 Thi Bui and her family arrived in the U.S. as refugees from Vietnam. After studying art and law and considering a career as a civil rights lawyer, she taught public school in New York City and was a founding teacher of the Oakland International High School, the first public high school in California for recent immigrants and English learners. She currently teaches in the MFA in Comics program at the California College of the Arts and lives in Berkeley with her family. 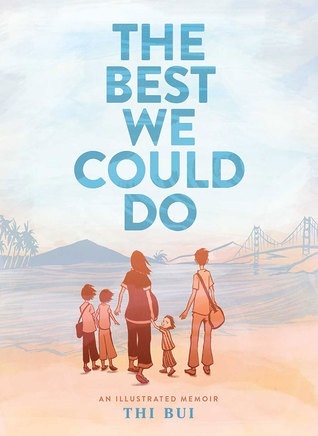 Her debut graphic memoir, The Best We Could Do (Abrams ComicArts), tells the story of her family's escape after the fall of South Vietnam in the 1970s and the difficulties they faced building new lives for themselves. Newsweek called it "one of the books that will make 2017 interesting," and it's a Barnes & Noble Discover Great New Writers selection for spring 2017. While writing The Best We Could Do, you wanted to quit numerous times. What made you keep going? Haha, it was that I had successfully created a trap for myself. By telling so many people that I was working on this book, and sharing the process of it all along the way, I made it impossible to quit. How did the idea of presenting it as graphic memoir come to you? I read Maus by Art Spiegelman and Persepolis by Marjane Satrapi. And Blankets by Craig Thompson. Before that, I didn't know that comics were a medium that would work well for this kind of story. Since then, I've discovered many other amazing stories told through comics. Yoshihiro Tatsumi, Taiyo Matsumoto, Sarah Glidden, Eleanor Davis, Pat Grant, Bastien Vives and Gipi are some of the cartoonists whose storytelling I really admire. But those three big books [by Spiegelman, Satrapi, and Thompson] made it into the mainstream where I could find them without knowing a lot about comics. When I was younger, I had tried with very little success to get at similar content through drawing and sculpture, and a little more successfully through shadow puppetry. I turned a corner when I approached it as an oral history project. But the story finally found a happy home in the form of a graphic memoir. You say in the book "it took a long time to learn the right questions to ask" your parents about their past. What were the right questions? My parents have actually always talked about the past. I knew a lot of stories just from living with them. It was more a question of growing up and growing enough empathy to be able to listen to them more carefully. And the process of trying to piece it all together into a coherent narrative helped me see how much I didn't know. I'd constantly have to go read more history and then go back and ask more informed questions. Trying to envision the stories enough to draw them, and really trying to put myself in their shoes, got me thinking and asking questions in a way that fleshed out the words and deepened my understanding of my parents' lives. Have they seen the finished book? What were their reactions? They've both read the finished book. They read rough drafts of each chapter as I drew them, and often gave me feedback or more information that I incorporated into the next draft. On sensitive parts, I like to think they always had veto power. They like to think that I told the story the way I saw it. That's fair. They don’t really tell me directly what they think of it, but I've heard them telling other people about it, so I think they're proud of it. How do they feel about their personal stories being made public? Things like this are a bit personal for them, and they've been very generous to let me portray them as whole human beings, meaning not perfect. There's plenty I don't tell about them out of respect for their privacy. I think they see themselves as part of a greater diaspora, and they support Vietnamese stories getting told. My mom is telling all her friends to buy the book. She recently came with me to hear [Pulitzer-winning author] Viet Thanh Nguyen talk about his nonfiction book, Nothing Ever Dies, at UC Berkeley. Afterwards she told him that she loves his work and that she thinks it's very important, even if it might be too radical for some people of her generation. She said it's not too radical for her, because she has her kids, like me, chipping away at her. It's only through occasionally hearing my mom talk about me to other people like this that I have any idea what she thinks of me! Refugee children aren't often encouraged to go into the arts. How did your parents feel when you moved to New York City to be an artist? I'm lucky to have two older sisters, one who went to medical school and another who went to law school. I'm a lot younger than they are, so by the time it was my turn to be a teenager, my parents were so tired and broken into the challenges of raising kids in America that they didn't put too many demands on me. My mom just wanted to make sure I went to college. My dad really wanted me to be an artist. My father had artistic aspirations, too. He drew a lot when he was younger. He used to write poetry and published it in Vietnamese-language papers and magazines like Làng Văn. I don't remember him being a very practical person about money and career choices. My mother was the breadwinner after we immigrated. You refer to the "ability to run when the sh*t hits the fan" as "refugee reflex." Do you still have that reflex? If not, at what point did you feel it was no longer necessary? I did a lot of work on myself over the course of writing this book. I think in moments of crisis, my fight-or-flight reflex is still very strong. But instead of running, which is good for self-preservation, I'm hanging onto the notions of community that I've formed from so many years of teaching and nonprofit work, and the stronger sense of myself that just comes with getting older and better. So now I'm more interested in fighting. What are your thoughts on the current refugee crisis and immigration ban? The travel ban on people from targeted countries is horrible and has nothing to do with national security. People going through the immigration process are so vulnerable already. Their lives hang on being granted the proper paperwork. A piece of paper with a stamp on it. For our government to rip away the assurances promised to them, without warning or reason, is miserably cruel and petty. You expressed a hope for your son to be free of the weight of the past. How do you help him get there? What will you say when he reads this book and has questions about his family history? My son recently read the book. He's 11 now. He grew up around me drawing it, so he's gotten the stories in pieces over the years anyway. I don't shield him from history. We have had many long conversations about history in which he asked all the questions he wanted to, and I did my best to explain or lead him to books and movies that could give him more than I could tell him. It's more the emotional and psychological scars of our family history that I would like him to be free of, you know? The irrational fears or odd behavior that survivors often have. I'd like him to be free of those. He's a pretty joyful child, and it gives me joy to see that. What do you hope other refugees will take away from your book? Risky and squirm-inducing, A Horse Walks into a Bar superbly combines the anxiety of watching a comedian single out audience members with the aching discomfort of witnessing another human being come unglued in public. Israeli activist David Grossman (To the End of the Land) uses a stand-up comedy routine to share a dissertation on the tragedies of life, and readers will be sweating as if sitting in the front row. Dovaleh G is a 57-year-old comedian. Two weeks before a set in Netanya, Israel, he contacts a man he knew when they were boys and asks him to attend. What follows is a hypnotic and exhausting rollercoaster ride through Dov's history as expressed in his performance. The set is an all-out assault--on the audience, humanity and Dov himself. He swings wildly from scathingly funny to pointedly vicious, from introspective to physically violent. This constant transformation sets the audience on tenterhooks; fluctuating emotions leave them wondering what they're witnessing and how to react. A slim volume with no chapter breaks, A Horse Walks into a Bar is Dov's set interspersed with the perspective of his guest, who slowly reveals who he is, why he was invited and what brought Dov to this anguished routine. Discover: An aging comedian asks a childhood friend to bear witness to his stand-up comedy routine, which quickly turns into something deeper and more emotional. Setting Free the Kites by Alex George is a moving novel of friendship, family, loss and reconcilation. Nathan Tilly and his parents arrive in Haverford, Maine, in the autumn of 1976, following Mr. Tilly's whimsical decision to buy a lobster boat. Robert Carter's family owns Fun-a-Lot, the amusement park where nearly every teenager in town has a summer job. Beginning a friendship with unexpected acts of kindness and violence, Nathan rescues Robert from the eighth-grade bully before they witness the terrible kite-flying accident that kills both Mr. Tilly and Nathan's pet mongoose. Nathan's life is changed by loss, but Robert's life has been defined by the expectation of it. His brother, Liam, is terminally ill, and his parents' preoccupation with their older son's condition has made Robert feel like his family's afterthought. Nathan is adventurous and optimistic despite his losses, while Robert's have made him more cautious and reserved. Their personalities balance each other, and they are nearly inseparable as they enter high school and join the summer staff at Fun-a-Lot. They soon find much of that time will not be much fun at all. Discover: Two boys form a fast friendship in the wake of tragedy in a small town in Maine. Immediately after birth, 16-year-old Noa's newborn is taken as part of Germany's Lebensborn program, which was "designed to deliver babies in good health to the Reich." More than a year later, disowned from her family and mourning her child, Noa discovers a railcar carrying infants headed for the concentration camps. Instinctively, she grabs a baby boy, saving him from death. During their escape, Noa and the child encounter the traveling Circus Neuhoff, and their story becomes entwined with that of Astrid, a Jewish woman who married a German soldier. With Hitler gaining power, her husband demands a divorce out of loyalty to the Nazi Party. Returning to her family's circus, a friendly competitor of the Circus Neuhoff, Astrid finds everyone gone, and she's taken in by the benevolent Herr Neuhoff. When Noa arrives with infant in tow, she and Astrid train and perform together as trapeze artists. Initially adversaries, the two women struggle to develop the mutual trust required by their risky circus act and personal circumstances. Discover: During the Holocaust, a traveling circus provides safe haven to Jews, including an infant originally bound for a concentration camp. Sarah "Salt" Alt, the Atlanta homicide detective Trudy Nan Boyce introduced in her debut, Out of the Blues, is back on duty conditionally. Because of two incidents involving her use of lethal force, Salt is ordered to undergo a psychological evaluation. Meanwhile, Atlanta is coming apart at the seams. A Take Back the Night vigil ends in violence when 11 Spelman College students are shot, leaving one dead. As the Atlanta police try to find the shooter, the city erupts in angry frustration and all law enforcement hands are called to riot duty. In addition, Salt catches a homicide case involving a decomposed body. That investigation takes her back to her old patrol stomping grounds. Boyce leads her readers through these events as Salt experiences them, but she also dissects them in Salt's required sessions with Dr. Ian Marshall. Additionally, the appointments with Marshall draw Salt--and Boyce's audience--into her troubled past. Discover: Atlanta homicide detective Sarah Alt must prove her psychological fitness for duty amid race riots and murder. The historical figure Christopher Marlowe left few biographical clues. But in The English Agent: A Christopher Marlowe Mystery, Phillip DePoy mines what little is known about the secret agent to create a fully realized portrait of a man desperately racing to stop the one person "there to kill a queen and destroy a country." In 1584, young Marlowe is a student, playwright and an operative in Queen Elizabeth's secret service. He is charged with preventing the assassination of William the Silent in Spain, thereby halting a plan to overthrow Elizabeth and place Mary, Queen of Scots (currently under arrest), on the throne. When he fails, Marlowe discovers that the plot is more complex than he was led to believe. With Queen Elizabeth's life still in danger, he must act quickly to foil that plot and save the queen and the fate of England. Along the way, a murder of enormous personal consequence leads Marlowe on a parallel mission to find the killer--who also may be tangled together with "the larger fabric of betrayal" involving the nation and the Queen. The coarse world of theater in the 16th century looms over the novel's swashbuckling action, which races from Spain to the Netherlands and back to England. DePoy (A Corpse's Nightmare), himself a playwright as well as a novelist, creates an exciting, well-researched sequel to A Prisoner in Malta. Fans of The Name of the Rose and Wolf Hall will relish this intelligent mystery. --Cindy Pauldine, bookseller, the river's end bookstore, Oswego, N.Y. Discover: Christopher Marlowe uses his wit, prowess in fighting and connections in theater to thwart an intricate plot to assassinate Queen Elizabeth. A literary writer from China, Yiyun Li (Kinder Than Solitude) is known for her brilliant English-language prose, and her fiction has won her many awards and a MacArthur Fellowship. Dear Friend, from My Life I Write to You in Your Life contains subtle, densely packed essays inspired by a two-year period of suicidal depression and hospitalizations. Discover: A Chinese American writer considers her life, her suicidal depression and the books that have meant the most to her. Science in the early Soviet Union became a precarious profession. If scientists were bureaucratically astute and in the right fields of study, they could receive lavish amenities and countrywide fame. If not, scientists were as much at risk as any other perceived enemy of the revolution and subject to exile, torture or execution. They had to tread a political minefield with every publication, a labyrinth of social considerations where objective truth meant far less than adherence to Marxist philosophy, or, increasingly as time went on, the whims of one ruthless amateur scientist--Joseph Stalin. In Stalin and the Scientists: A History of Triumph and Tragedy, 1905-1953, Simon Ings, editor at New Scientist and author of A Natural History of Seeing, chronicles the catastrophic collapse of certain sciences under the Soviets. The brutal first years of revolution and civil war brought most academic and research organizations to their knees. Once the state stabilized (to a relative degree), scientists faced two challenges: overcoming the stigmatization of any "Old Guard" group that existed under the tsars, and wrapping new research in the guise of Marxism. Discover: In the early Soviet Union, the study of science became precariously politicized. Jessa Crispin (The Creative Tarot) is a writer, editor, founder of two influential literary websites and a woman known for applying her radical ideals directly to her life. Her third book, Why I Am Not a Feminist, seems inspired by years of accumulated frustration with a particular but large set of mostly white, straight, well-educated, economically secure feminists. Crispin denounces their brand of "universal feminism," which seeks mainstream inclusion and individual gain; it promotes the feminist label without the radical ideas. "Fighting for your own self-interest, without the awareness of your motives or the ramifications of your success, does not make you a hero. It makes you just the same as any other selfish ambitious jerk." Women who have always had to work at dull, grueling, badly paid jobs, who find their best rewards in their homes and personal relationships, are scorned and patronized by such feminists, if they are noticed at all, she argues. Discover: In her smart, sharp, funny attack on mainstream feminism, Jessa Crispin demonstrates how she would like to see everyone do better. Conventional wisdom says that a pet's affection has healing powers. Professional dog behaviorist Patricia B. McConnell (The Other End of the Leash: Why We Do What We Do Around Dogs) knew and loved many canines before she met Will. While helping him overcome his anxieties, she identified and subdued her own. In the style of H Is for Hawk and Dog Medicine, The Education of Will: A Mutual Memoir of a Woman and Her Dog is an eloquent story of how the bond between human and animal uncovered the connection between McConnell and her deepest self. Her zoology degree led to her studies of animal behavior, specifically how shepherds communicate with their working dogs. Eventually she co-founded a business helping dogs with behavior issues, relishing "acting as a translator between members of two different species." As her memoir opens, McConnell recalls choosing Will, the black-and-white fluff ball who would join three other dogs on her Wisconsin farm. He looked at her with "soft, radiant eyes," as if asking a question. "Somehow it seemed imperative that I find the answer," she writes. Will was sweet and responsive, yet excessively fearful of other dogs and sudden noises. "Willie desperately needed to feel safe and secure. The thing was, so did I." Discover: An animal behaviorist's memoir parallels her healing from multiple traumas as she patiently leads her beloved border collie to overcome his fears. Christopher Howell (Gaze) demonstrates the imagination of a fabulist and the intellect of a philosopher in his richly contemplative poetry collection Love's Last Number. The pieces are compiled in three thematic sections exploring recurring themes of love, loss, death and divinity. Howell was a military journalist in the Vietnam War, and his experience shows in a number of poems about historical conflicts and the ghostly legacies of refugees, soldiers and others lost in the machinations of history. In "Tin Soldiers," a prisoner of war about to be executed beautifully describes "the drenched butterfly of my hope/ wandering in circles." It is this eloquent imagism that gives such power to Howell's poems. His metaphors are deceptively simple. Nowhere is this talent more evident than in the way Howell addresses the existence of God. "God is a tree on the moon/ inside us," he writes in "Reflection Upon Psalm 121." Neither trying to prove nor deny the existence of a deity, he arouses a wistful agnosticism in which the wonder of all possibilities is in itself divine. In the collection's titular poem, Howell settles on a basic metaphysic of love that resonates for the ages: "But love/ burns without consuming and weighs nothing." Love's Last Number showcases a visionary mind and serves as a testament to the power of imagination in connecting human beings to each other. --Scott Neuffer, freelance journalist, poet and fiction author. Discover: A former war journalist's elegant and profound poems use awe-inspiring imagery to answer some of the greatest questions of human existence. Hello, Universe by Filipina American Erin Entrada Kelly (Blackbird Fly; Land of Forgotten Girls) is about the unlikely connections people make when they pay attention to the "letters" the universe is always sending. The stories of four middle-school narrators are woven, Shakespearean comedy-style, in a web of crossed paths. The four collide when a bully named Chet Bullens tosses 11-year-old Filipino American Virgil Salinas's purple backpack (and guinea pig) into an abandoned well in the woods, leaving the horrified boy no choice but to climb down and rescue his pet. This unfortunate event on the first day of summer, fortunately, ends up bearing all sorts of unexpected fruit for Virgil and two of his girl classmates (the other two narrators): hearing-impaired biologist-to-be Valencia Somerset and Japanese American psychic Kaori Tanaka. Trapped at the bottom of the well, Virgil discovers his inner bayani (hero) when he faces Pah, the monster bird who rules darkness in his beloved grandmother's grisly Filipino stories. Virgil emerges from his ordeal willing to face his other fears, which seem suddenly less significant in contrast to the dark well: "Being face-to-face with death made Chet seem so... ordinary. Boring, even." Discover: The lives of four middle-schoolers intersect when a bully tosses a boy's backpack into an abandoned well, not knowing there's a guinea pig inside. First in a trilogy by the talented and offbeat duo Mac Barnett and Jon Klassen (Sam and Dave Dig a Hole; Extra Yarn, both Caldecott Honor Books), Triangle is an unusual early concept book. The protagonist is a dark triangle with big eyes and a pair of stumpy legs. He lives in a triangular house with a triangular door in a region of earth-toned "small triangles and medium triangles and big triangles." Our three-pointed hero wakes up one morning with a plan to play a "sneaky trick" on his friend Square. As Triangle makes his way past "shapes that weren't triangles anymore" looming boulder-like forms fill the landscape, gradually giving way to his friend's more cubical neighborhood. Arriving at Square's house, Triangle can barely contain his giggles as he begins hissing like a snake. "Oh dear dear dear!" says Square. "How many snakes are out there? Ten? Ten million? Go away, snakes!" That sneaky Triangle! But Square might have a trick of his own up his sleeve. Discover: The supremely talented Mac Barnett and Jon Klassen team up in a funny and surreal picture book--the first in a trilogy--about a triangle playing tricks on a square.